Marianas High School senior Mary Grace Tiglao has been selected as one of the first international participants of the long-running Sir Peter Blake Youth EnviroLeader’s Forum in New Zealand from April 16-22, 2016. The forum will take place in Nelson on the South Island, where Tiglao will join 54 other young leaders from around New Zealand and have the opportunity to learn from a number of national science and conservation experts about the major environmental issues facing New Zealand. The Sir Peter Blake Trusts is partnering with The Island Voices to bring international young leaders from across the Pacific to attend the Youth EnviroLeader’s Forum for the first time this year. Along with the Northern Marianas, travel for young leaders from Australia, Palau, and New Caledonia are being jointly funded by The Pew Charitable Trusts and the New Zealand Ministry for Foreign Affairs and Trade. Vicky Benavente, chairwoman and Marianas Tourism Education Council, nominated Tiglao to participate in the upcoming forum. Tiglao is the commander of the JROTC Dolphin Battalion and an officer of the National Honor Society. She previously attended Saipan Community School and Mt. Carmel School. Last year, she attended the Junior Statesmen of America at Georgetown University in Washington, D.C. with a full scholarship award from the U.S. Department of the Interior. 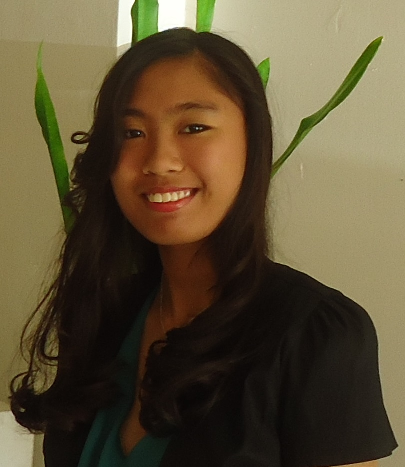 She has won several essay contests on island, including the MTEC essay contest in 2013. She also plays the ukulele and piano. The Island Voices are artists, educators, fishermen, and leaders dedicated to linking traditional values into modern decision making and advocates for clean and healthy oceans and islands. They are advisors to the Pew Charitable Trusts Global Ocean Legacy Campaign. Sir Peter Blake was one of the world’s best sailors who wanted to raise people’s awareness about need to care for our oceans and marine environments. The Sir Peter Blake Trust exists to continue his legacy to inspire and mobilize the next generation of leaders, adventurers, and environmentalists. MTEC was formed in 2002 by the Marianas Visitors Authority to heighten the community’s awareness of the importance of tourism to the well-being of the people of the CNMI. MTEC’s primary focus is to foster community understanding and support of the CNMI’s visitor industry and to educate the general public, especially school students, about the value, social benefits, and economic contributions made to the community by the visitor industry.